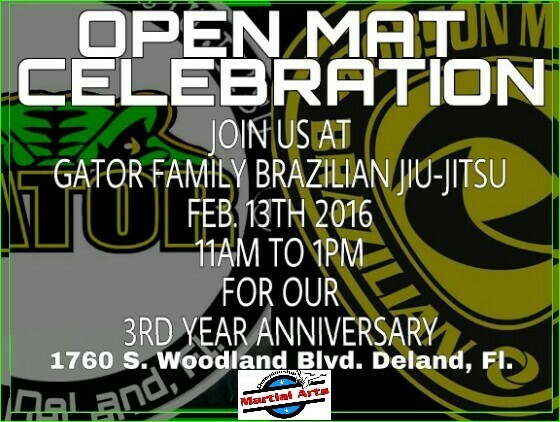 OPEN MAT CELEBRATION - Gator Family Brazilian Jiu-Jitsu, DeLand Fl. with the West Volusia community. We are inviting all Academies to join in a free Open Mat. If you may be considering Jiu-Jitsu for Self Defense or just to get in shape, you're invited too. We are a Family friendly Academy welcoming girls and boys, ladies and men. Visit our event page HERE and let us know you're coming. 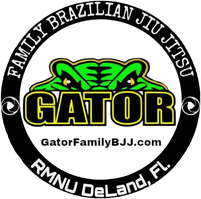 We are looking forward to a great time with Family and Friends on the mats. Mark your calendars now and we'll see you then, OSU!